In the earliest phases of launching a subscription offering, companies often start with a simple pricing strategy—a recurring charge for an ongoing service. But as companies gain traction, they seek to become more sophisticated in the way they price and charge for their offerings. We think of this shift as “usage-based monetization.” Simply put, usage-based monetization is the ability to monetize an offering proportional to the amount a customer consumes. Uber is a service we’re all familiar with that is capitalizing on usage-based monetization. 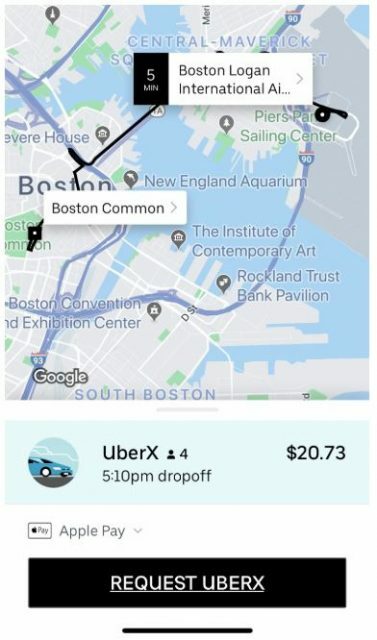 Think about Uber’s pricing model: They charge consumers based on the amount of usage consumed, in this case, miles traveled. We’re seeing two key reasons behind this shift to usage-based monetization. First—we see price-sensitive customers wanting a clear understanding and alignment between the amount they consume and the charges they are billed. Second—as companies observe cohorts of customers consuming massive amounts of their service, they identify significant potential revenue being left on the table. Many companies want to implement usage-based monetization, but, operationally, the process is much different than that of a simple recurring model. Determine the correct value metric that satisfies alignment, growth, and predictability to set up usage-based pricing. Collect, clean, and reconcile usage data from different accounts and systems. Track usage and apply to the pricing plan to calculate price. Bill the customer the right amount at the right time. Let’s take a deeper look into the decisions and processes needed to operationalize this new monetization model. To set up usage-based pricing, you have two initial decisions. Users. Value increases for the customer based on the number of users they have. The more team members a customer can add, the more value they get out of the product. For many years, number of users was the default for a wide range of subscription services and this is still a common value-metric framework for team and productivity services. You see these value metrics in CRMs like Salesforce, collaboration software like Slack, or project management apps such as Asana. But businesses are catching on to the fact that number of users isn’t always the most meaningful value metric. Data. Value increases for the customer based on the amount of data they consume. This is common for telecom services and tech companies. Verizon charges based on amount of wireless data consumed, whereas Box charges based on GBs of storage. Events. Value increases for the customer based on the number of events they can process. This is common for API services and products that add value for customer’s customer. Clearbit charges per API call, and Twilio charges based on volume of SMS messages and cell minutes. Per-unit pricing. Per-unit pricing is the simplest option and the most common model and directly aligns value metric with the amount the customer is billed. An example would be the CRM example above of $25/user/month. If the customer has one user, they are billed $25/month and if they have 100 users they are billed $2,500/month. Overage pricing. With overage pricing, you decide on different packages for your value metric at different price points and then charge extra if a customer exceeds the usage in their package. This is the type of billing common for cell phone plans. If 2 GBs are included in the base plan, an overage fee is applied if the customer uses more data than that. Volume pricing. In the volume pricing model, the exact price per unit changes depending on the final usage volume. This is commonly used when the value metric is based on events. The more events you use, the less you pay per unit. For instance, if you only use 1,000 API calls in a month, you might be charged $0.1 per call, paying $100/month in total. But if you use 10,000, the per—unit charge could fall to $0.05, meaning you pay $500. You used 10x, but only paid 5x. Tiered pricing. Tiered pricing is similar to volume, but the price builds. This is the type of pricing adopted by AWS. You pay $0.023 per GB for the first 50 TBs of storage on S3. When you use that up, your next 50 TBs costs $0.022 per GB. If you used 100 GBs of storage, you would pay for 50 GBs at $0.023 ($1.15) and then for 50 GB at $0.022 per GB ($1.10), for a grand total of $2.25. Tiered with overage pricing. Tiered with overage pricing makes sure that you don’t have to enumerate all the tiers of use for your plan. The AWS plan above includes this. When you go above 500 GBs, you then pay $0.021 per GB, whether you eventually use 501 GBs or 50,001 GBs. Multi-attribute pricing. Multi-attribute pricing uses a number of factors to decide the final price. For instance, Ford’s Canvas car subscription service decides your price according to car type, length of subscription, and monthly mileage. Once you’ve determined usage-based pricing and your users begin consuming your service, you will need to track their usage records. The process of collecting, cleaning, and routing usage records is called mediation. When your service has multiple daily active users, and usage records flow from different data sources in different formats, mediation can become complex. Let’s examine Gogo Aviation, the in-air wifi provider. Collecting usage is a complicated endeavor for Gogo: They have to collect data from multiple planes and multiple towers, some in different countries, to determine who was using what plan when. Imagine if you signed up for a global pass and a two-device plan as you hopped from SFO to JFK to LHR with your partner; that’s data from two planes, three airports, and two devices, in two countries. Obviously there’s some complexity there, and yet there’s no way around it. Clean data is an important part of understanding the customer journey and accurate billing. As Nicole Greczyn, manager of systems engineering at Gogo Business Aviation, puts it, “There’s a need to collect data in a structured manner. This allows you to evolve as your customers do. For any company utilizing a usage-based model, you have to ensure clean usage data records to ensure customers’ invoices are accurate. If not, you run the risk of revenue leakage or error-prone invoices and a negative customer experience. Once you’ve collected and summarized usage records, you’ll need to make sense of them by assigning a price to derive a charge to the customer. This process is called rating. Depending on the sophistication of your pricing model, rating can become complex. Also, different business models call for different frequencies and timings with which rating needs to be performed. Lastly, with a large subscriber base, complex rating calculations can be difficult to scale. Let’s examine a common rating process for Verizon. Verizon’s Shared Data Plans consist of a monthly recurring fee for each line as well as usage-based fees which are derived from volume-based tiers proportionate to the amount of GBs of data consumed. 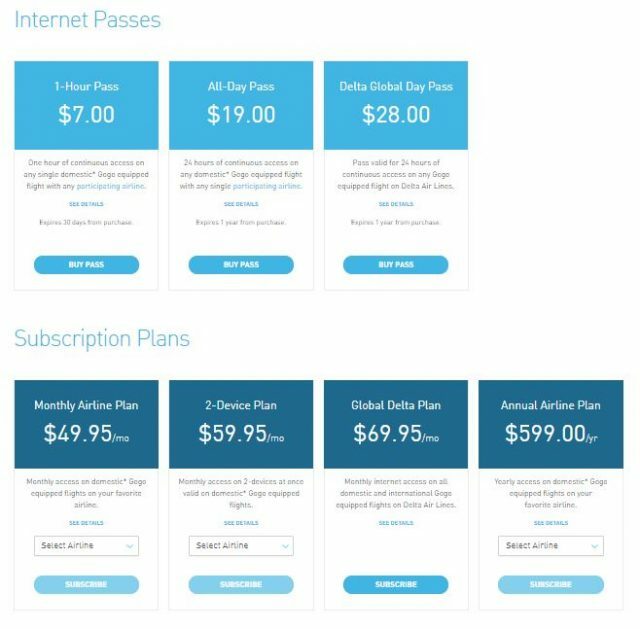 In addition, customers can purchase 1GB blocks of data if they hit overages on their plan. Rating is a sophisticated process for Verizon. First, their billing system needs to constantly measure usage intermittently throughout the billing period. As a consumer, you would expect to have an accurate, transparent view of your data consumption at any given point in time. Second, at the end of a billing period, the billing system needs to measure usage summaries and apply the appropriate combination of charges for millions of subscribers. The ability to rate usage in near real-time is significant to both to the customer and to the business. With a constant point-in-time measure of usage, the business can send customers notifications as they approach data limits. With this information, a customer is better equipped to decide whether to use less data or upgrade to a higher package. The business benefits from this as well. Threshold notifications also give the company a mechanism to upsell and increase average revenue per user, but at the same time it saves customers from surprise overage fees, which ultimately provides transparency and improves the customer experience. At the end of the billing period, once usage has been rated, you have a set of accurate charges that you’re ready to bill the customer with. Usage-based billing is typically performed in arrears (as opposed to billing in advance). For example, AWS charges for GBs of data sends their customers invoices at the end of the month rather than asking customers to guess how much data they’ll consume in advance. The result of a usage-based bill is a customer with a clear understanding of what they consumed and what they’re being charged for. This detail allows customers to easily associate the value they’re paying for with the service they’ve received. This makes for a good customer experience, but it also makes decision-making and planning easier for your customer. If customers understand their underlying usage patterns, they can make the decision on whether to consume carefully or expand their plan. We’re observing an appetite for the shift to usage-based monetization across all industries, from traditional auto manufacturing to software. Why are companies so bullish on usage-based pricing? Because, through a usage-based model, today’s modern consumers get the flexibility, transparency, and perception of value that they demand—and, as customers grow into your offering with increased usage, your revenue grows as well. Win win. 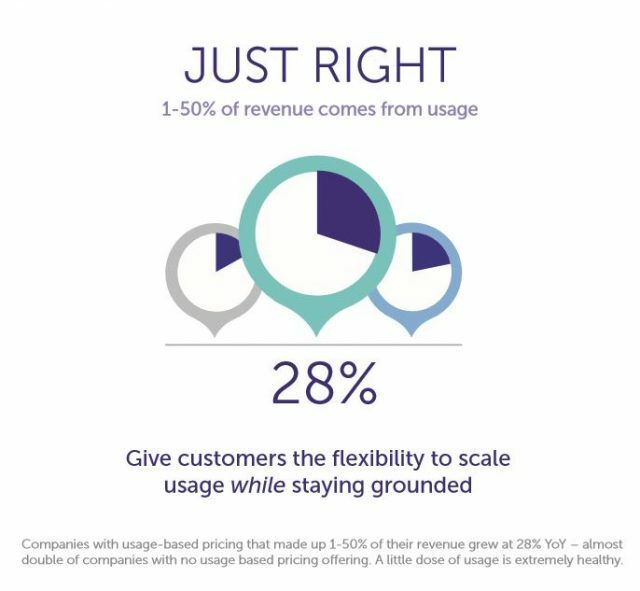 In fact, our Subscribed Institute research found that companies with usage-based pricing comprising between 1-50% of their overall revenue grew by 28% year over year. That is 1.5x higher as compared to companies with no usage-based pricing at all. But businesses that successfully align price with usage—and set themselves up to efficiently manage usage-based billing on the back end—will be well-positioned to optimize upsell opportunities, customer success, and overall revenue.